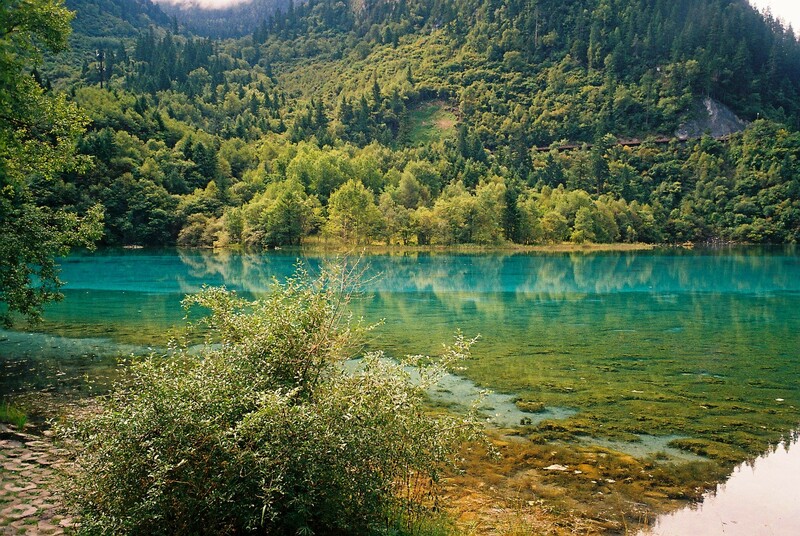 It takes millions of years to create the picturesque environment of the beautiful lakes in Jiuzhaigou, China. The placid and serene lakes there are known for their mirror like reflection. 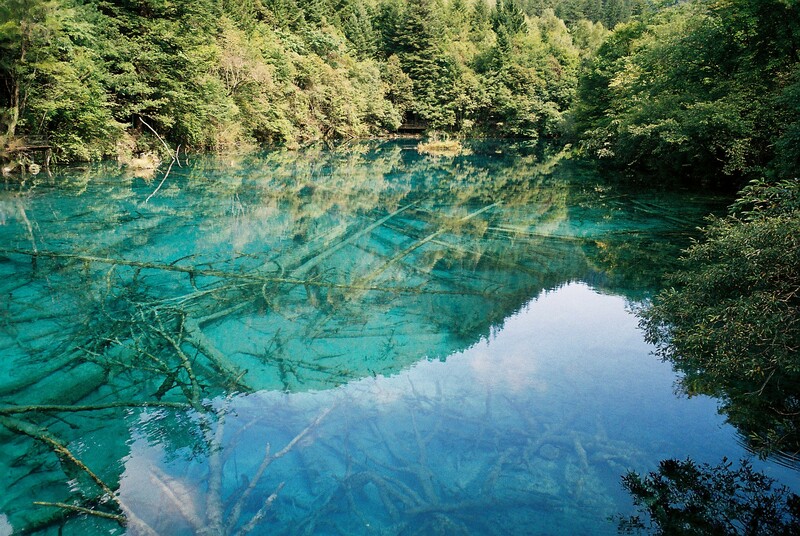 The water is so clear that you can see the bottom of the lakes. 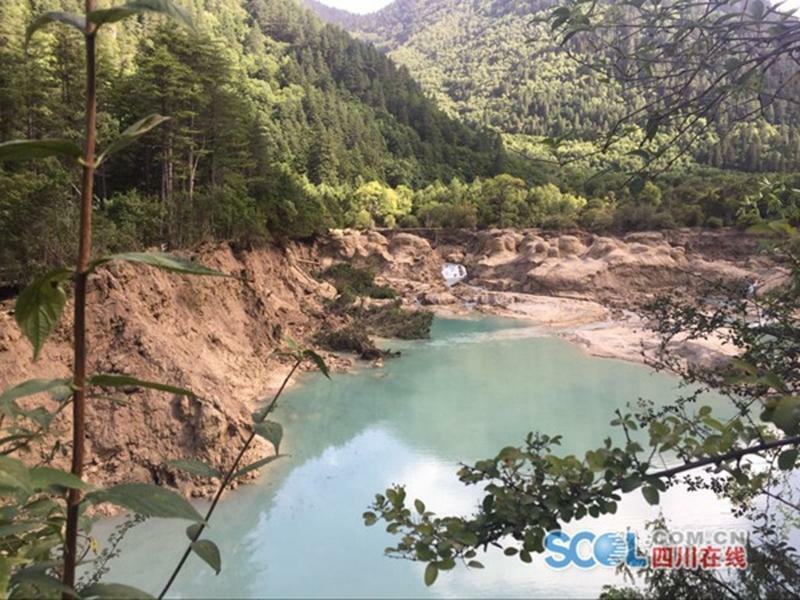 Water with calcium in it flows through the area creating bund like structures and series of terraces. 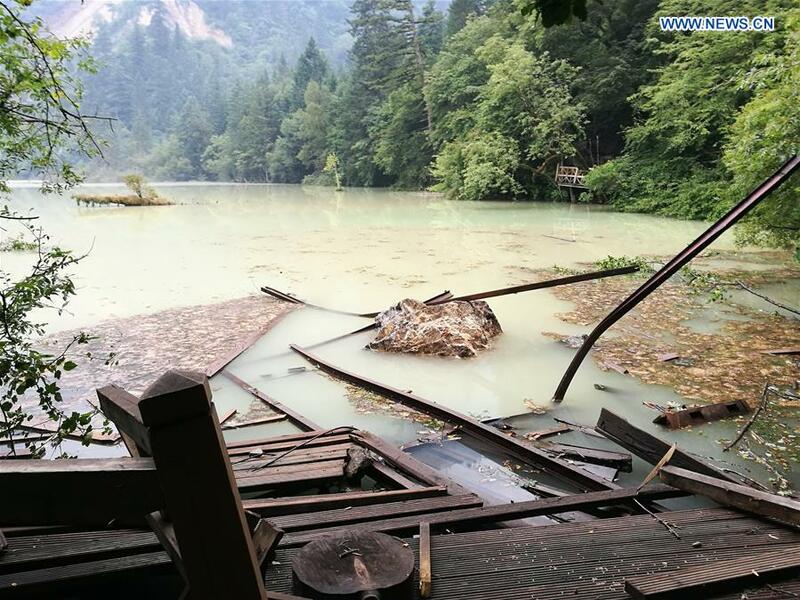 The water is so blue as it has no living plants in there; trees fallen over in the lake are progressively calcified. The waterfalls are gone, the bunds disappeared. Perhaps, the area will never recover . . . . . . . . . . . . . . . . . . . The last two photos are from the news agencies to which credit is due.